The Phantom possesses a relaxed, organic signature defined by great robustness, a natural sense of body and excellent tonal transparency. Despite its handful of ingrained, fundamental traits, the Phantom is unique in how it lets the chain determine its tone and soundstage. 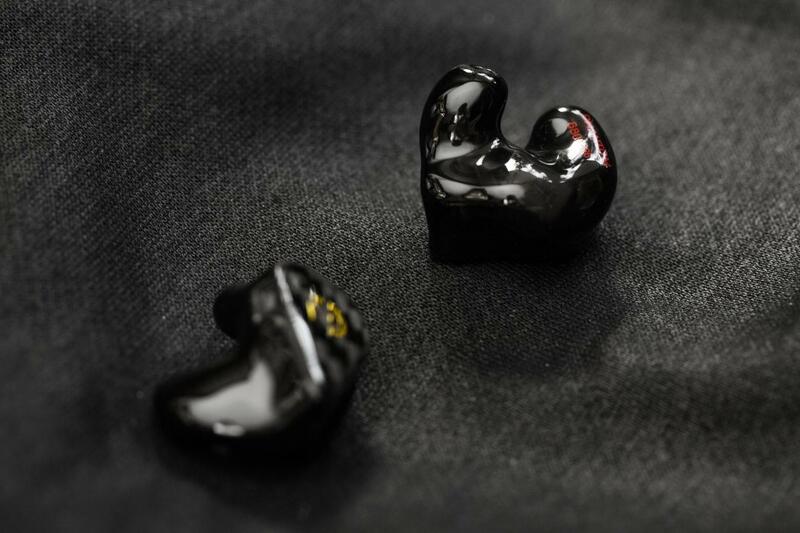 Like other mastering in-ears – such as JHAudio’s Layla – the Phantom is capable of distinctly distinguishing shifts in production, mixing and mastering. An example would be the change in saturation in Tom Misch’s voice between Lost in Paris and South of the River from his Geography album. Or, the shift in vocals between Sam Smith’s Burning and One Day At a Time. 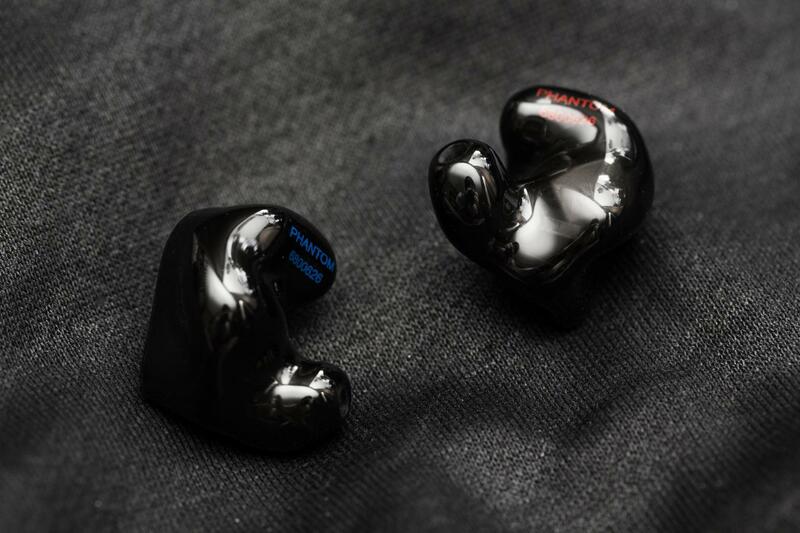 While most IEMs aim to provide a generally pleasing, musical performance, the Phantom’s M.O. is infinitely more altruistic: A true, unadulterated representation of music with little compromise. But, this ability can only exist when a strong technical foundation has been set in place. Fortunately, the Phantom possesses excellent spatial performance. The EP flagship has been gifted an impressively stable black background with high resolution, by virtue of strong end-to-end extension. Because of this, no matter the hue or size those instruments embody, they’ll always be sat within a well-defined, well-layered and well-resolved soundscape. Despite its transparency, the Phantom does have its quirks in timbre. It’s a predominantly rich-sounding monitor with ample harmonic content, because of its prominent lower-midrange. In addition, a linear upper-treble limits sparkle, crispness and raw clarity. If you’ve grown accustomed to brighter, airier signatures like those of the HD800 or the A18t, the Phantom will likely require some getting used to. But if warmth is your cup-of-tea, it’ll fit like a smooth, snug and transparent glove. One of the Phantom’s most prominent features is its thick, voluptuous low-end – contributing heavily towards both vocal richness and the overall organic tinge in its tone. It’s not a particularly forward-sounding low-end. Rather, its role in the overall ensemble is to fill out the bottom; pairing articulate transients with equal harmonic content. Outstanding balance is maintained between the sub- and mid-bass, resulting in a transparent response that I’d call neutral in tone. Alternating between the synthetic bass lines on Royce da 5’9″‘s Caterpillar and the uprights on Sarah McKenzie’s That’s It I Quit is a giddying experience – watching the low-end shift between guttural authority and warm emotionality. Again, it’s a rich, well-balanced and full-bodied bass that comes across uncoloured, but neither is it sterile or dull by any stretch. This is because the Phantom’s bass possesses wonderful technical performance. Although the low-end isn’t necessarily coloured for fun, it maintains gobs of musicality through authority and extension. The Phantom’s sub-bass is excellent despite its balanced-armatured nature. The dynamic range, texture and resolution it possesses is second to few. But, most impressive is the headroom it’s able to maintain at the same time. There’s an effortlessness in the way it doles out waves of bass, that you’re able to objectively appreciate and subjectively head-bob simultaneously. Layering is strong as well, because of the Phantom’s low-end balance. You get just the right amount of everything, while high extension and low distortion make those individual elements pop. In terms of cons, I can see some preferring less upper-bass for cleanliness and definition. But for my money, this is a quality, balanced-armatured low-end I wouldn’t alter one bit. The Phantom possesses a thick, euphonic and resonant midrange; relatively even bar slight bumps around 1-2kHz and 3kHz. The former elevation contributes a characteristic chestiness – perhaps where the Phantom is least transparent throughout its entire frequency range. 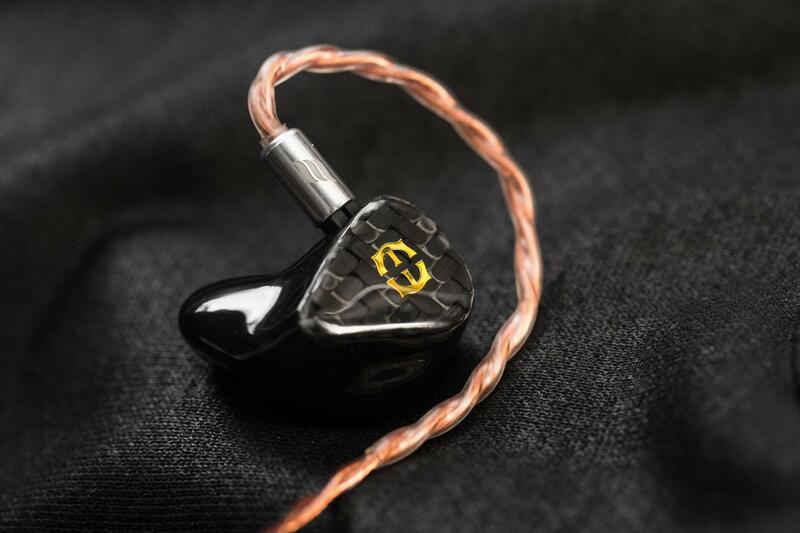 When combined with the in-ear’s full upper-bass and lower-midrange, vocals and instruments alike possess great body, as well as rich harmonic content. Although the Phantom then produces images with wetness and body, overall warmth remains minimal – granted by a well-controlled mid-bass and an extended top-end. So despite the harmonic content, the midrange never sounds cloy or congested. Instruments are organic in timbre, but refined too. 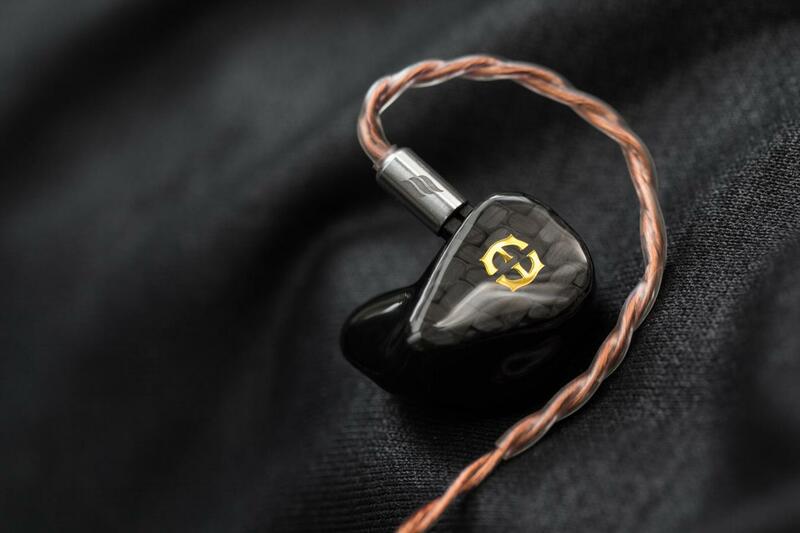 When paired with the in-ear’s black background, the result is high resolution and tonal transparency. This refinement also stems from the its light, breezy upper-midrange. Unlike most musically-tilted in-ears, the Phantom does not possess a particularly dense or concentrated midrange. Instead, it chooses to assume a more feathery profile that projects through the chesty fundamental, rather than the throat or mouth. This aids its chameleon-like quality. Comparing two tracks like David Benoit’s Drive Time and Sarah McKenzie’s We Could Be Lovers, the Phantom showcases how distinct the two are in terms of real estate, rather than colouring both to sound inaccurately engaging. The former is spacious and theatre-like, while the latter bathes in intimacy. Where this may falter is in physicality. Certain higher-pitched instruments may lack concentration and density; failing to sound punchy at times. But again, this favours the engineer: Where tones, timbres and textures are easily discerned, with little distraction stemming from vocal saturation. The Phantom’s treble is perhaps its most unique attribute and – consequently – its most polarising as well. Unlike most flagships in this day and age, the Phantom employs a flat, unexcited upper-treble; forgoing raw clarity, crispness and air in favour of tonal transparency. The Phantom is the antithesis of in-ears that “sound good with everything.” Because, its philosophy as an unbiased, uncoloured tool wills it so. The main areas of compromise lie in micro-detail retrieval and transient attack. With instruments like snare drums and cymbals, those accustomed to brighter, crisper transducers will immediately notice what sounds like dulled articulation. Transients don’t strike as quickly or as sharply as they normally would. In addition, tiny nuances in the music aren’t as prominent. Funnily though, the smoothness this tuning grants does allow you to focus on more data in a single sitting. But before you can do so, you have to search for them first. Instead of the upper-treble then, the Phantom’s 6kHz peak provides clarity and articulation. With the right tracks, transients can come across clear as day, yet infinitely refined. These include RVRB’s Faded EP, Stevie Wonder’s Overjoyed and David Benoit’s Drive Time. But other tracks like Charlie Puth’s Done For Me may end up sounding brittle. This was done to maintain as clear a timbre as possible, so it does not sound crisp or tizz-y when it isn’t supposed to. Despite all the compromises listed above, the Phantom’s treble does reward handsomely as well. Top-end notes – while softer – leave zero trace as they decay. The soundscape remains free of any bright harmonics, haze or chemtrails. This results in a perpetually black background; an essential foundation to accentuate the true colour of the track. This aids dynamic range as well, as instruments flow clearly between different loudnesses for an endlessly engaging experience. Finally, excellent extension preserves detail retrieval, revealing impressive nuance once you grow accustomed to its sensibilities. Tonal transparency for mixing and mastering: The Phantom’s uncoloured sonic palate serves as a great foundation for ruthless pro work. Tiny shifts translate with immense clarity – whether it be in EQ, stereo imaging or overall balance. A rich, emotionally-resonant midrange: For playback, the Phantom also possesses a wonderfully transparent midrange – among the best in dynamic range, balance, tonal accuracy and resolution. If your playlist largely consists of vocal-oriented music, you can always rely on the Phantom to bring the best (and worst) out of your favourite balladeers. An outstandingly well-rounded bass: Among the vast array of balanced-armatured low-ends I’ve heard, the Phantom is definitely in contention for the throne. Although it’s nowhere near basshead territory, it possesses a sense of balance present both in-and-of-itself and within the Phantom’s larger frequency response. Extension and authority allow it to maintain this, whilst sounding fun too. It strides the line between fun and work with outstanding prowess, effortlessly. Because of how far it strays from mainstream sensibilities, the Phantom does have its fair share of what can be perceived as cons. If you prioritise the following three traits highly in an in-ear monitor, the Phantom may not be for you. High clarity, crispness and transient performance: Derived from its laid-back upper-treble, the Phantom’s articulation can be perceived is stunted; dulled. It isn’t as clinical or clear-cut as most modern flagships. Transient attack may sometimes lack too with more rhythmic genres. If fun and attack are what you’re looking for, Empire Ears’ X Series will be for you. Contrast-y, clinically-defined instruments: The Phantom’s fuller upper-bass and lower-midrange (relative to the treble) also results in wetter, bloomy-er instruments – not as cleanly defined as on brighter, leaner monitors. There’s certainly an emphasis on harmonics. 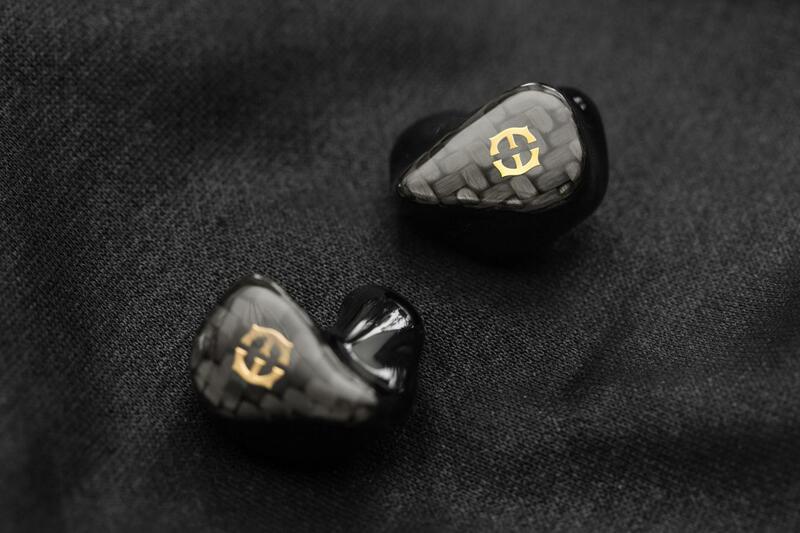 If you crave detail and definition, the EVR and ESR from Empire Ears’ EP Series will do the job. A forgiving lower-treble: Despite the overall smoothness the Phantom possesses throughout its frequency response, its lower-treble is a particular point of caution. Although it provides natural clarity, tracks, cables or sources that emphasise 6kHz may end up sounding brittle or sibilant. Again, the Phantom definitely pulls no punches – if it’s there, it’ll be heard.